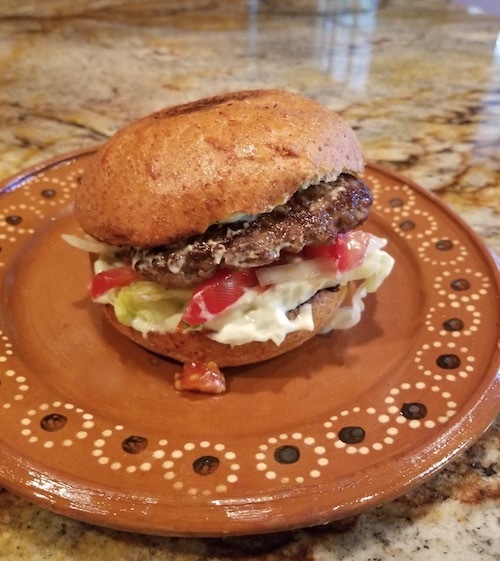 I was grinding spices in my kitchen, about to make picadillo, when my partner interjected, “I feel like having a hamburger, why don’t you make a picadillo burger !” And that’s how this idea came about, leading me to simply deploy the same spices and chile to fashion a burger. 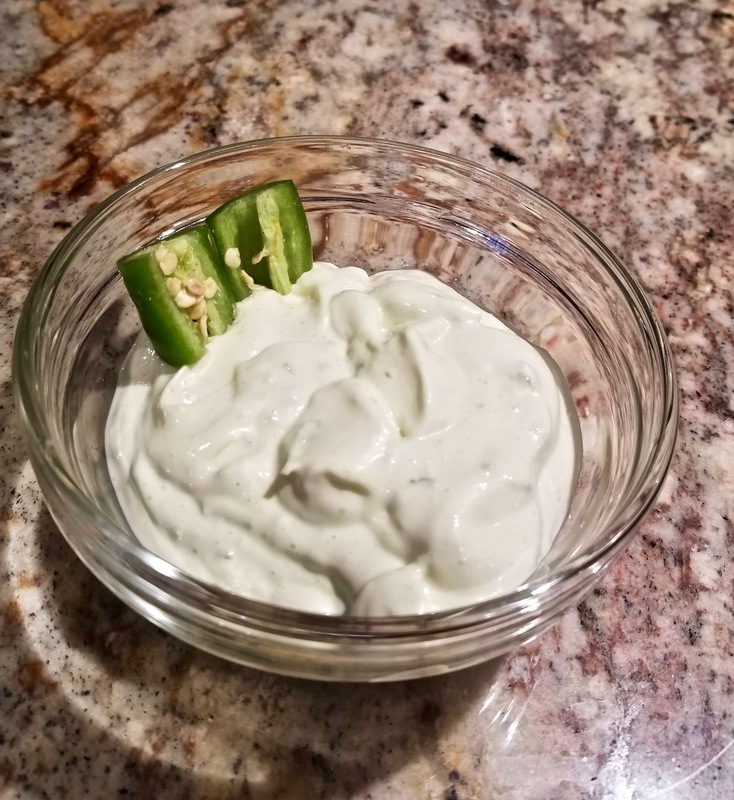 The Mayonesa De Chile Serrano, Serrano mayo, is natural and logical to me, since I always eat picadillo with serrano chile salsa. 2.In a molcajete or other mortar, crush the cumin, black pepper, garlic and salt into a fine paste. 3. Combine the paste with the ground meat until it is thoroughly combined, then make four hamburger patties. You may find the patties small, but I like this ratio of meat to bread and vegetables. 4. Heat a cast iron skillet and cook the patties to your liking. Of course you can grill ’em! Serve on toasted hamburger buns with the mayonesa de chile serrano, lettuce, tomato slices and onion slices.